It’s your wedding day, Champagne is flowing, vows have been exchanged and the cakes been cut. There’s only one problem, your big day has cost you an absolute fortune! The band. The venue. The caterers. Who knew a wedding could be so expensive? Weddings, no matter how intimate cost a pretty penny. 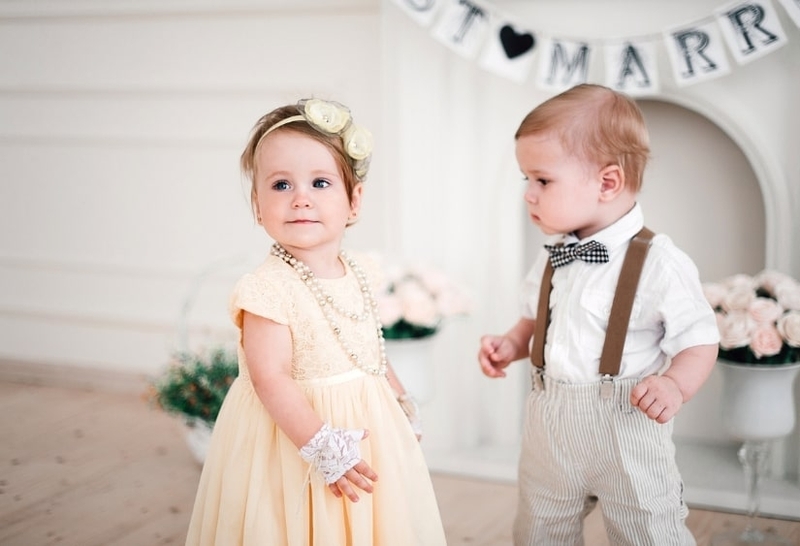 In fact, the average Irish wedding costs around €26,000. But not to worry, there are more than a few ways that you can save money for your dream wedding. Because, let’s face it, the last thing a newlywed couple needs, is the looming fear of financial stress on returning from a romantic honeymoon. That's why we’re here to make sure your day goes as smoothly as possible (without breaking the bank). This should be the very first thing you do. What is realistically affordable for you and your partner? 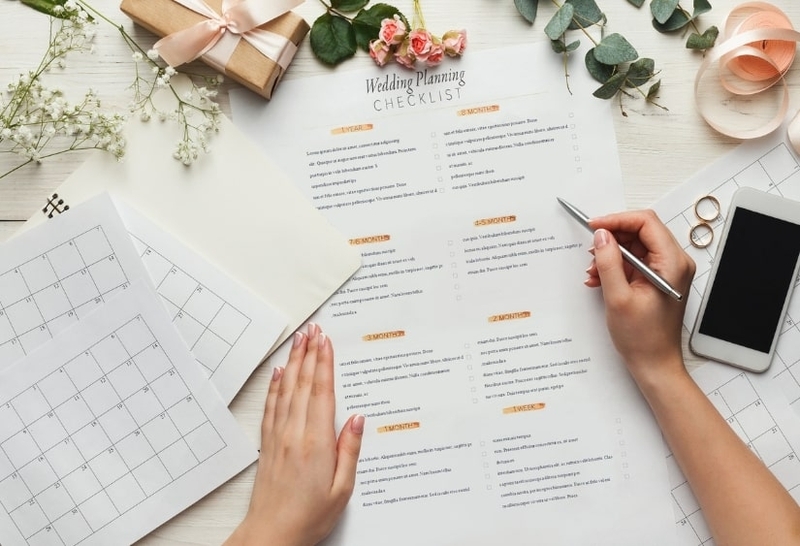 It’s common for couples to go over budget on wedding costs and there’s a good chance that even with the most meticulous planning, there will be unforeseen expenses. It’s normal to be eager to get hitched as soon as your partner pops the question but it’s important to give yourself enough time to plan and save. This will probably mean working out estimated costs for all aspects of the wedding, including dates for deposits and final payments. 3. Setting dates - Offseason bookings can save you a lot! Summertime is the most expensive time to get married in terms of booking a venue. You can save between 10-20% of the cost by having your wedding during off-peak dates. February and November are the cheapest months because they’re the least popular. Not only that but you can save even more by choosing a mid-week date. If you can get past the need for having a “Summer wedding” or a “Christmas wedding” and choose an affordable date, you’ll have money to spend elsewhere or even better, you can keep your budget on track. This is a bit of a no-brainer, but you should take the time to shop around. Compare prices and keep an eye out for discounts and bargains. Again, setting a realistic time frame will allow you to take your time to browse and compare prices. You might have heard that getting married can save you money on tax. But how exactly? If you’d like all the details on if you and your soon-to-be spouse will be due a tax refund, then check out our post on Marriage and Tax: Should I Put a Ring on it? In the meantime, here’s the basic run down. You’re both working, but only one of you pay tax at the higher rate. You’re both working and one spouse has unused credits due to low income. Only one spouse is working. One spouse cares for children in the home. You are disposing of assets or making investments. Even if you don’t fall under this criteria, the average PAYE tax refund with Taxback.com Ireland is €1076.17, which could be your dress, the venue or your honeymoon covered. Need a hand saving for your wedding? Claim Your Tax Refund Here! If you’re a dab hand at DIY, why not take some things into your own hands like say centerpieces for instance? If you know you can make a Spotify playlist that will keep everyone dancing all night long, then why not give it a shot? Some of us are lucky enough to have talented people like makeup artists, hair stylists, DJs, florists in our lives. Reach out to close friends or family who might be willing to give you a discounted price for their work. Check out sites like Vistaprint.ie or Canva.com if you’d like to give designing your own invites a chance. There are lots of gorgeous templates you can use on these sites. 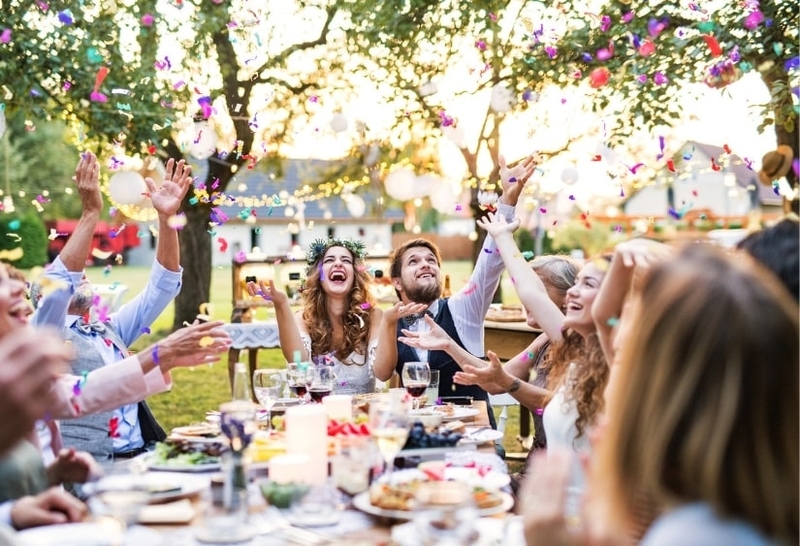 It’s common for people to jet off abroad to places like Amsterdam, Liverpool, Prague and even Vegas for hens and stags but if you want more cash to splash on the big day, you’re better of keeping it local. Staying in Ireland means reduced travel costs and possibly no need for accommodation. Our emerald isle has more to offer than you might think. Check out Groupon and LivingSocial for offers on days out like paintballing, pampering packages, hotel breaks, distillery tours and so on. This will depend on what bank you’re with but you should check out your options for savings accounts. Choose one that allows quick access to your money when you need it. You never know when you might find something that you would like to reserve or buy immediately. This will depend on your bank but check out the different savings account options. Choose one that allows you quick access to the money when you need it, you never know when you might find something that you want to book or buy immediately. There are apps out there that can really help with the planning process. If you want to remain on budget, organisation is key. That’s why it’s a good idea to have all your bits and pieces in one place so you can constantly keep tabs on spending and costs. There’s no need to spend a tonne of money on the cake, shop around and compare prices, you can even look into store-bought cakes. M&S have an excellent selection. Top tip: Add a Styrofoam layer to your tiers, ask your baker to decorate a fake tier on the cake, that way it looks more impressive but doesn’t cost nearly as much. I know a lot of people are quite sentimental about these things but it’s becoming a big trend amongst brides to sell their dress after the big day. You will likely make around 50% of the cost price back from selling it on. Keep in mind that there will be a lot of envelopes sent your way on the day with cash gifts. This money can be contributed towards wedding costs. It might cover the band, vendors, photographer or something else. Put a countdown app on your phone to constantly remind you to be careful with your money and to remind you how long you have until the big day. If you see something, you’d like to buy that isn’t totally necessary, why not contribute that money to your wedding fund? Maybe the odd month you have a little extra disposable income, stick that in your savings account and you’ll stay ahead of the game! So there you have it lovebirds, our top tips for making your wedding day a little less harsh on your bank account. If you’d like to find out if you’re due a tax refund, contact us today and we’ll give you a free, no-strings-attached refund estimate.